Disassembling the wiring of the unit to get access to what’s inside your safe may end up disappointing you. It’ll not only trigger a manual lockout, but it can also leave your safe useless once it’s open. Lockout specialist at Great Lakes Security Hardware are highly trained in all lockout emergencies, including opening locked safes. Next time you find out that your safe is locked up do not risk the integrity of the unit or your safety. Contact Great Lakes Security Hardware instead. Call us today at 888-855-6257 or fill out our general information request form. https://greatlakessecurityhardware.com/wp-content/uploads/2019/01/vault-change-combination-and-repaier-services-near-me.jpg 312 640 Denise Farley https://greatlakessecurityhardware.com/wp-content/uploads/2015/06/Security-and-hardware-solutions.png Denise Farley2019-01-08 00:55:522019-01-08 01:05:18Locked Out Of Your Safe? When people hear the words ‘ a safe’ they instantly think of the safes they have seen in Hollywood blockbusters, not in city. There is a lot more to safes then these large vaults that seem to be easy to get into and are always stocked with vast sums or money that fits into a couple of holdalls. Safes are not around just for criminal masterminds to meticulously plan to heist their contents before kidnapping the most current media darling only to be outwitted by an unorthodox detective and his clumsy partner. Of course enormous safes like the ones seen in the movies are based on true to life safes but in today’s modern world they play an invaluable part in ensuring peoples money, possessions and important paperwork are kept, sorry about this – safe. Throughout history mankind has felt the need to lock things away from prying eyes and to protect the contents. Today there is still the need to make certain what is important to you remains secure and in a place that it can be confidently left. Many banking institutions now offer safety deposit boxes for the use of customers but they are not convenient to use, generally an appointment is needed to visit the box and it is far from ideal having things that you value stored possibly several miles away from your home or business. What come abouts if you need to have access to these objects on a regular basis or you run a business in city that has cash on the premises? Safes are the easier option. Naturally not just about everything kept in a case needs to be valuable. Guns are frequently kept in a safe to deter inquisitive minds from paying too close attention to a firearm. Safes today are designed to be used at the home as well as in a commercial or city office environment. New technology and design ideas allow safes to be as visible or hidden as you wish. Home safes in Southfield can give a user valuable tranquility of mind, they will help to ensure that not only cash and perhaps jewelery are safely taken care of but can also be used to protect other important documents like property deeds, licenses, wedding bands and any other object close to ones heart, who knows, maybe something like divorce papers. Not only will home safes protect their contents from theft they will also protect them from accidents, prying eyes and fires. They also guarantee that valuable items do not get misplaced or lost forever. Surely if things are really important it is vital to look after them. A safe provides an easy, affordable and aesthetic way of achieving this. Home safes are designed with peoples taste in mind, after all who would want a large grey metal box that can only be opened by rotating what looks like a ships wheel about a hundred times parked in front of the plasma? With a Southfield home safe it is possible to select one that suits the purpose it is needed for and to be sited in the ideal place. They can be hidden and remain unseen to any visitors or snooping family members. It is highly probable that you have visited someones home in Southfield and a safe as been in plain view and you have not even noticed it. You can eve by mini safes disguised to look like dog food cans or books, why not encouraged for the safe keeping of large amounts of cash or other high value items they can be used to store small amounts of cash without having it in full view of anyone. 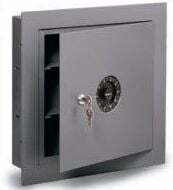 There are a myriad of safes available nowadays and they are used to protect almost anything you can think of. laptop safes are used to keep not only the laptop computer safe but its contents. Imagine storing important or confidential material or on a more personal value treasured family photos or videos on a laptop computer only to find that an opportunist burglar has aided themselves to it whilst you were shopping. Irreplaceable, that’s what safes do, stop you from losing or destroying the irreplaceable. After all accidents as well as thefts transpire and safes can legislate for this as well. Safes are available that are not only fireproof but waterproof. Fire, by its very nature, consumes most things it comes into contact with or at least leaves it looking worse for wear. A safe will be extremely hot after a fire but the contents will be saved. A hot safe ! – we are back in the realms of Hollywood once more. Similarly in the event of a flood your valuables will be unharmed and in the same condition in which they entered the waterproof safe. Safes are designed now to fit in any place within reason and are a convenient way to guarantee piece of mind. Sure most safes can be broken in to given time but most criminals that may enter your home will not have the skills or the inclination to stop and try. They act as a deterrent to thieves as they assume that any really high value items are beyond their reach and ponder on what other security measures have been deployed. A safe, if indeed found, shows a thief that you have taken precautions to protect your property. Safes won’t stop offense but they do mean that you do not lose each and everything of value. Some things have no monetary value but mean the world to people. Keep them safe, Use a safe! Safes have traditionally been used to keep high quantities of money safe. There was a time when just about every workplace paid wages in cash and this had to be stored somewhere before it was issued. Shops, post offices and banking institutions all had safes frequently in plain view where there money was stored. Many pictures taken in the nineteenth century and early twentieth show a proud storekeeper leaning on their mighty safe. Businesses have always needed safes and it is still true today. Wages these days are no longer paid in cash by most employers and the world is moving in direction of electronic purchases but many people in Southfield even now use cash to buy groceries, fuel and other everyday items. This cash has to be stored safely and aside from bank drop boxes a safe is the most secure option. It is better to lock the cash in the safe overnight and for it to be picked by a security guard the next day then it is to put it all in a bag and walk a few blocks to the drop box. Not only is the cash likely to be swiped but it is very likely the unlucky gopher carrying the bag will have a sore head at the very least probably worse. Leaving the cash overnight presents a risk as well. How many people would know that unsecured cash was left on the premises overnight? Quite a few, it takes a brave person to trust everyone. One innocent mention of the easy cash lying around hanging around to be taken to the wrong sort of person and it will be gone. If you’ve worked hard for that money – keep it safe. Businesses need safes to store not only their cash but their important files, valuables and countless illustrations of documents. As in the design of home safes, business safes are designed to be unobtrusive and affordable for even the smallest company or store. After all not every single business will need a vault to store things in. Anyway the vaults prove too tempting to European bank robbers trying their luck in the USA. except you have John McClane on speed dial it is probably best to go for a more causeable type of safe. Businesses may also wish to consider other varieties of protection like lap top safes or even fire resistant filing cabinets. Its not always naughty balaclava clad burglars that can take things away. Fire inSouthfield does an equally good job and it is worth remembering that after a fire you will never get anything that is lost back. Insurance cover will help but some things are irreplaceable. Imagine losing records of customers orders or invoices or even personal property that people have given you temporarily. Nowadays safes no longer have to dominate the workplace. They can be hidden or designed to look like everyday objects. Of training some people like to show other folks that they put their valuables in a safe as a deterrent almost. You can select a safe like this if you wish. One that stands out and says’ Thats right, its all in the safe and you can’t get it!’ It may be more convenient to choose a smaller safe but they will all do the same job. Keeping what you want kept safe, safe. Design has moved on a lot in the world and safes have followed suit. Gone are the old rusty iron safes of yesterday to be replaced by more aesthetically pleasing designs that blend with the decor and surroundings. Pictures taken this century won’t feature a safe in them. It will be there somewhere but you probably won’t see it. Even if someone pointed to it in the picture it probably won’t look like a safe. So if you can’t see it even when you know its there what chance does a simple intruder have. Not a chance and even if he did see it he wouldn’t be able to open it unless of course he was a European criminal mastermind and the chances of that are slim I guess. Safes in business properties and offices can be used not only to store petty cash and confidential documents they can be used to store any item, security guns for example. The loss of an office security gun will possibly cause more heartache then losing cash. What transpires if the gun is used in a robbery and someone gets hurt? Nobody would want that on their conscience. Having a safe in your office or workplace allows you peace of mind of mind and ensures you can relax and get on with doing what you need to do. The need to monitor anyone who enters your premises to guarantee that they are not after your valuables is gone and you can relax when you lock the doors at night or close for a break or vacation. They will also help protect your valuables against accidents. In a busy office or work environment accidents will and do transpire. Now a safe can’t stop people spilling coffee on paperwork, what office hasn’t had an incident where someone has knocked over a drink at their desk and the liquid as found alone inside just about every drawer soaking just about everything in them. Put the documents in a safe and it won’t happen. Well the drinks will still be spilled but the important documents will go undamaged. Simple. industrial safes feature many ingenious features such as electronic locks with back up keys and they can be mounted or fixed to the floor. They offer many different levels of protection. They can be big or as a small as you wish. When choosing a safe for the workplace or office consider what it is to be used for. Does it need to be fixed to the floor? ought to it be waterproof? Probably, if you own a sea world center. Basically the choice is yours. In essence safes are needed today more then ever. If only we could keep each and everything we treasure in a safe, like partners and children, pets even. If we knew it would keep them safe we would. Well we would if they wouldn’t suffocate. If we really value something or if work products are so irreplaceable and important why not use a safe. They are inexpensive, do a simple job well and don’t moan about long hours and no breaks. They are low maintenance and for the tough guys they are they require no feeding. They will protect anything you treasure, hold dear in life or have worked hard for safe and secure. After a fire they will be even now standing, they won’t drown and they never ever reveal what they are protecting. Safes love one thing and one thing only keeping things safe in city.